Geocaching – a small adventure paying huge dividends! Since coming on staff at Gateway, I have quickly discovered the inner adventure nerd of my boss Kenny. He has a slight fixation on something called “geocaching”. This is simply finding unique containers that have been hidden at specific coordinates that can only be found with a GPS. It’s like a treasure hunt! There are some destined to be within a mile or two of where you live, there are over 2 million world wide!!! I have used geocaching to help build camaraderie among new friends, volunteers, students, and even family. It takes a great deal of teamwork and each find is unique, always presenting a new challenge. What’s in the container? Well, there aren’t bags of gold but there is always a log for the finder to write their name on, this is a must and will be found at every geocache site. Some containers are larger and hold items from other finders that have discovered the cache, I have found anything from a rubber ducky to a nickel…you just never know. It’s nearly free & tons of fun! Nightcaching – these can only be found at night, usually using flashlights. It puts a spooky spin on the treasure hunt! I recently hid one near my house, my wife and I took some kids on the hunt, they loved it! GPS Device: I use an iPhone 5 that has a log, or you can get a handheld device at your local sporting goods store. Login/Subscription to Geocaching.com, it’s free – but the app cost if you are using a smartphone ($10 one time fee) – totally worth it!!! Give it a try, find three geocaches and I almost guarantee you will be hooked! Subscribe to lifeofayouthpastor in the top right hand corner to have other posts sent directly to your mailbox! Giving Up! Time. Talent. Treasure. 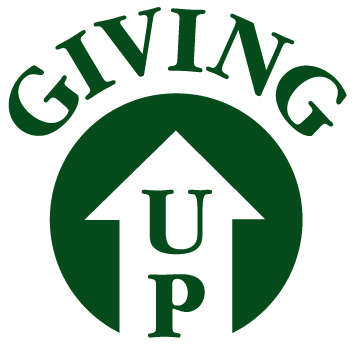 I did a series at my last church called “Giving Up”. We spent three weeks discussing what it means to give up the things in your life to God that He has blessed you with…your time, your talents, your treasures. As we head into a season where we are calling our leaders, volunteers and families to be all in at Gateway, I know this mindset will need to come across clearly to my students. I don’t want this to be a one time push in asking my students to GIVE UP their time, talents and treasures. I want this to be a consistent lifestyle that is adopted by many in the student ministry. What are some ways that we can really make it stick? We have all seen GIVING UP in action. Students playing in the band, running the sound board, greeting visitors, serving at a local soup kitchen or nursing home, going on a summer mission trip, possibly even starting to develop healthy tithing habits. The list goes on and on for things students do and opportunities the church will offer them. What have you offered in your ministry or seen in the lives of students that fit into one of these three categories?